Big LSAT changes: What should you know? If you haven’t heard yet, the Law School Admission Council has announced some big changes to the LSAT. What are they, and what should you know? Let’s dive in. Expanded LSAT options. Starting in 2018-19, the LSAT will be offered 6 times per year instead of the 4 times per year schedule it’s been on for years. Potential impact: The addition of the November and January tests instead of December and February could be a good thing. As a group, Illini performed worse on the December exam, which was during or right before finals. Taking it in November instead–right before fall break–at least prevents the dreaded LSAT/finals overlap. The January date is only two weeks earlier than the old February schedule, but for those who are taking it and applying immediately, saving two weeks that late in the cycle could be helpful. The July exam in 2019 will be helpful in providing another summer opportunity–this might be the best part of the new schedule for students. No more limits. The LSAC has also decided to eliminate the rule that applicants could only take the LSAT a maximum of 3 times in any 2 year period. Now, there will be no limits on how many times a person can take the LSAT. What it was: A person could take the LSAT a maximum of 3 times in 2 years. What it will be: A person has no limits on how many times s/he takes the LSAT. Potential impact: Probably not much. Although it will now be possible to continue retaking the exam after 3 times (and we’re sure many will), will the score really improve by doing so? Both LSAC’s data and our own show that on average, retakers score about two points higher on a second exam, and see less improvement on a third exam. Illini who took the LSAT 3 times had the same average score as those who took it once. And, about 15% of Illini retakers obtained a worse score upon retaking, so that’s another risk. At a certain point it becomes very difficult to sustain LSAT studying due to burnout and the time commitment involved. Of course there is also the issue of how a law school will evaluate an applicant with seven LSAT scores…remember that every single score will be seen by an applicant’s law schools. Tablet-based tests. The LSAC is currently testing a tablet-based LSAT option. No word yet on when this format might become available. Right now the LSAT is a paper and pencil test and will continue to be until the LSAC decides otherwise. What it was: Paper and pencil. What it is now: Still paper and pencil, until we hear otherwise. Khan Academy LSAT prep. The LSAC has partnered with Khan Academy to create free LSAT prep which will be available to all. It’s expected to debut in the second half of 2018, so this could be a helpful resource for anyone planning to take the LSAT in late 2018 or after. See the press release here. 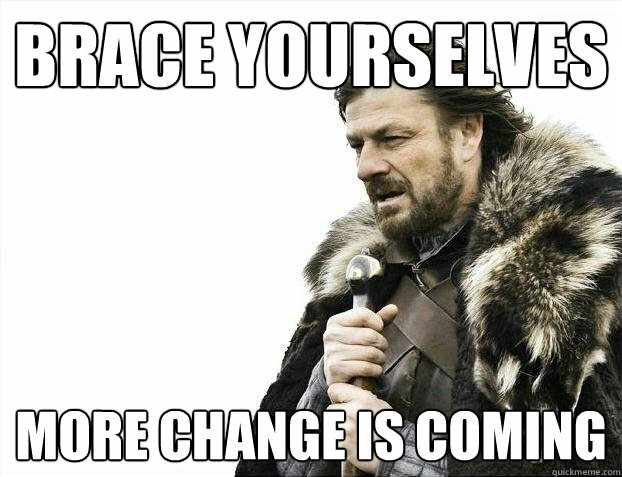 We will monitor all upcoming LSAT changes and share with you what we learn, so stay tuned! You’re well into your summer job or internship by now. You know your colleagues, you’ve got the commute down, and you’re feeling more confident about your work. We have about six weeks left before the fall semester. So, what should you do now? Ask for more responsibility. If you see from your list that there is more you wanted to do, or could be learning, then by all means ask to be involved in more projects. Connect with your supervisor. Ideally s/he would be able to provide a great recommendation. Take the time to get to know your supervisor. Could you have coffee/lunch together? You could also ask what projects s/he needs the most help with and volunteer to pitch in. This is a lifelong skill of networking: You will always need another reference or recommendation, and you always want your supervisor to know you and your work well enough to advocate for you. Meet others in the organization. Have you become interested in another part of the organization? Maybe you don’t work for accounting but you’ve become interested in their work; or perhaps your organization has a legal team. Ask if you can buy them coffee and talk about their job. Those connections can help you explore career options and can often lead to other connections. Make sure you leave on a strong note. Finish your projects. Leave notes or instructions on any unfinished work before you leave. Ask for feedback on your performance. Send a thank you note to colleagues and your supervisor. Leave your contact information. June LSAT scores are just about to be released. If you’re done with the June LSAT and applying to law school this fall, now is the perfect time to reallocate all the hours you were spending on LSAT prep to other parts of the law school application. What should you do now? Get your letters of recommendation lined up. Have you already contacted your LOR writers and asked them to submit a letter for you? If not, do that now, because giving your writer all summer to write the letter is smart. Don’t wait until a super busy time for them–like September, for professors–to ask. Here are some tips. Register for the Credential Assembly Service if you haven’t already. This is the account you will need to complete your law school applications. Click here for more information. Order your transcript if you aren’t taking summer classes. If you are taking summer classes, put a reminder on your calendar to order your transcript after August 18. Note: You will need to order a transcript from every undergraduate institution where you took courses–even summer courses–so now is a good time to reach out to the registrar of any community colleges or schools from which you transferred. Here is where you order your UIUC transcript. Draft a personal statement. Your goal is to convey your passion, career goals, and important elements of your character in two double-spaced pages. Sound difficult? We’ve made several resources, including a video and handout, available over on our Compass page. A great deadline would be to complete a draft of a personal statement by the fall semester start so that you can set up a review appointment and have plenty of time to edit. Research law schools. You’ll want to have a list of 8-10 law schools representing a variety of elements including geography, admissibility, and programs of interest. You can find LSAT/GPA data, employment information, tuition, and more by using a resource like Law School Transparency’s Reports, which allow you to make direct comparisons, or the American Bar Association’s Required Disclosure reports. And, if you’re planning on retaking the LSAT in September, register for it right away and start your studying! The test date, September 16, is only 10 weeks away! Many test sites will fill, so you’ll want to register early to get your preferred testing location.